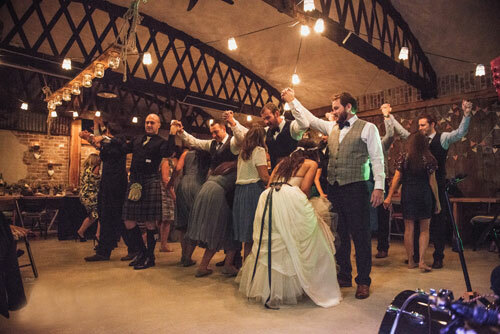 This 5 piece Northern Ireland ceili band specialise in live traditional ceili dance music and songs for wedding parties and other functions with a dance caller. 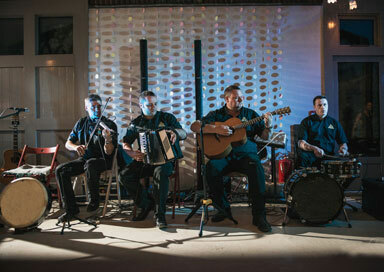 Based in Northern Ireland, this five piece band specialises in live traditional ceili dance music and song for wedding parties and other functions. 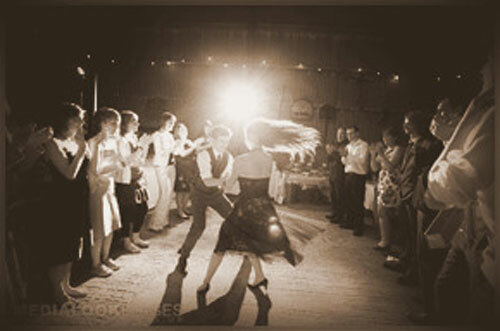 The word Ceili, or Ceilidh in Scots Gaelic, means to gather together for a night of dancing, singing and story telling. It is usually an informal occasion and this band make every effort to ensure that even if you don’t get the dances exactly right, at least you’ll end the evening with a few stories of your own! Most of the weddings and other parties that the band perform at are comprised of inexperienced dancers, but the band includes a professional caller who will be on the floor all evening. He will encourage those not familiar with the steps to join in and help keep the night rolling along on the right track. And that is what they are all about – providing plenty of good music and fun for you and your family and friends so that everyone will remember a great night’s craic.